LATEST UPDATE dated 23.02.2019 : Good News !! UPPCL has announced Final Result for Office Assistant Grade III Posts. Check Your Result & Final Cut Off Marks from links given below……..
Uttar Pradesh Power Corporation Limited has earlier issued Recruitment Notification for 2296 Office Assistant & 227 Stenographer Posts. As Scheduled, Online Computer Based Exam has to be done for these Posts. UPPCL has earlier announced Written Exam Dates in September 2017 but postponed Exam due to floods in the State. Finally UPPCL has conducted Online Written Exam for Stenographer Grade 3 & Office Assistant Accounts Posts on 8, 9 February, 2018. UPPCL has conducted Computer Based Exam for the above mentioned Posts. Exam for Office Assistant Grade 3 was conducted from 16 to 23 February, 2018. But those Exams were cancelled. UPPCL has conducted Office Assistant Accounts & Stenographer Exam on 28 August, 2018. UPPCL has conducted Office Assistant Grade 3 Exam from 22 September to 24 October, 2018. UP Power Corporation Limited conducted Written Exam as 1st Stage of Selection Process. Candidates who appeared in this awaited exam for Office Assistant & Stenographer, must be looking for Cut off Marks to access their performance & have a Idea about their Selection for Next Stage of Exam. Dear Aspirants, we will provide you information regarding Expected UPPCL Office Assistant Cut off Marks 2018 for Written Exam. It should be noted that UPPCL will announce Official Cut Off Marks at later stage of this exam. About UPPCL Office Assistant Exam : UPPCL Office Assistant Online Written Exam conducted in Two Parts : In 1st Part, there was Question of Computer of CCC Level Course. This Test is of 50 Marks. Candidates need to secure 20 Marks otherwise Part 2 will not be checked of considered. In Part 2, there were 180 questions comprising of 180 Marks. There was Negative Marking of 1/4 Marks in Computer Based Exam. Cut Off will depend on Exam Level & No. of Candidates appeared in Exam. Next Stage of for Office Assistant & Stenographer post is skill test/ typing test. So Written Exam cut off will vary according to that. 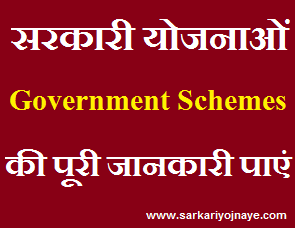 Cut Off will decide Category wise for General, OBC, SC/ ST & Special Category Candidates. NOTE : Candidates has to gain Minimum 20 Marks out of 50 Marks. Shortlisted Candidates will be called for Typing Test. Typing/ Skill Test will be of 20 Marks so Final UPPCL Office Assistant Cut Off Marks will be from 200 Marks. We will provide you Expected UPPCL Office Assistant/ Stenographer Written Exam Cut Off Marks 2018. Ji sir, uppcl office assistant ki final cut off kya ho sakti hai. Plz tell us. Documents varification ke baad jo lgegi ab. Plz sir tell me. kis category ke liye ?